This is the main reason I went to Seoul. 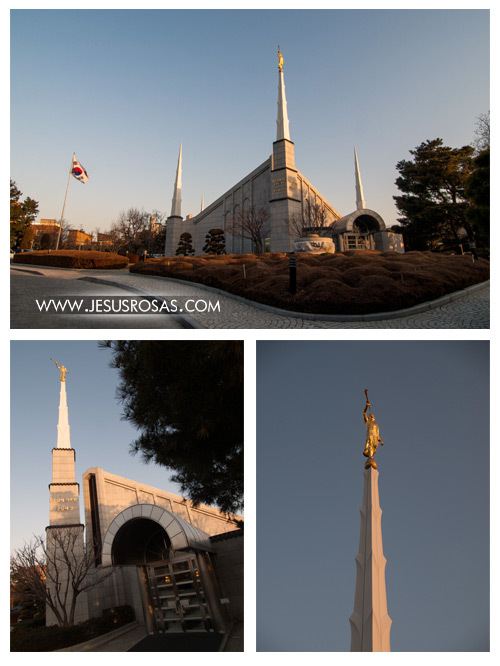 It is the Seoul Temple of the Church of Jesus Christ of Latter-day Saints (aka the Mormon Church). I went there to a temple marriage ceremony of my two Korean friends who joined for time and eternity. This experience has been one of my best in this year. Seoul is a huge city. 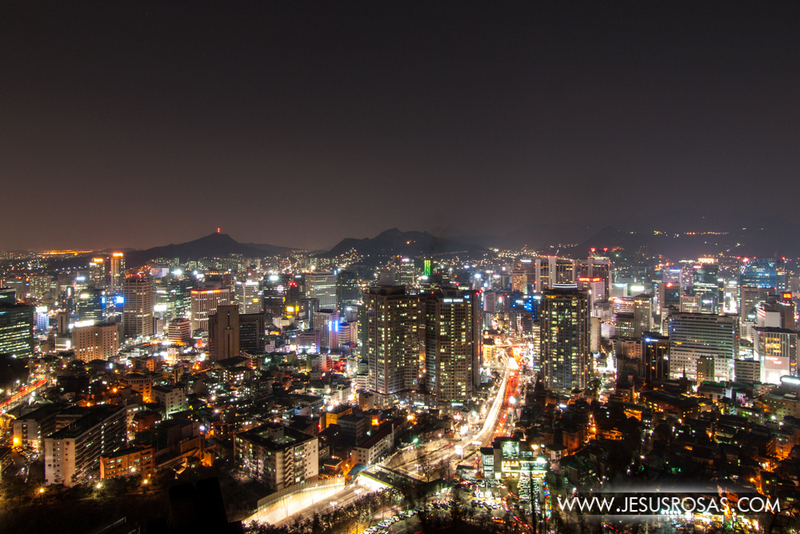 Seoul and its surrounding area make a metropolitan population of more than 25 million people. It is a highly developed area and home to several powerful high tech companies, including Samsung and LG, it also boasts the fastest Internet connection in the world with 1 Gbps(1). There is a lot to say about this city, but not this time. I hiked Namsan Mountain, which is in the center north of the city so I could see Seoul from the top. Eating local food is part of the real traveling experience. So I ate in different places. Here I was invited to a Buddhist restaurant. 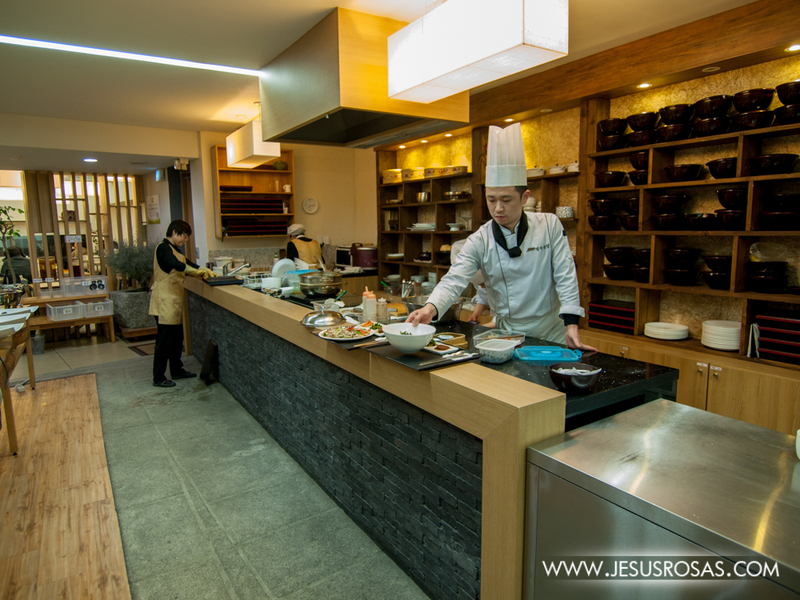 The menu is 100% vegetarian and it is prepared by Buddhist monks. Yes, the cook in the picture is also a monk. 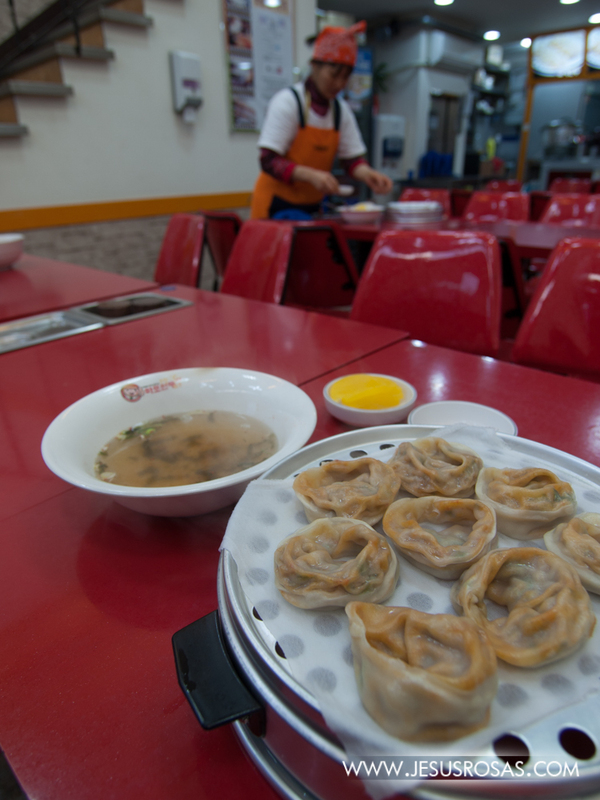 Seoul also has dumplings. These are the Korean dumplings. Also very good. I must say that one of the best things of Seoul is Korean food. 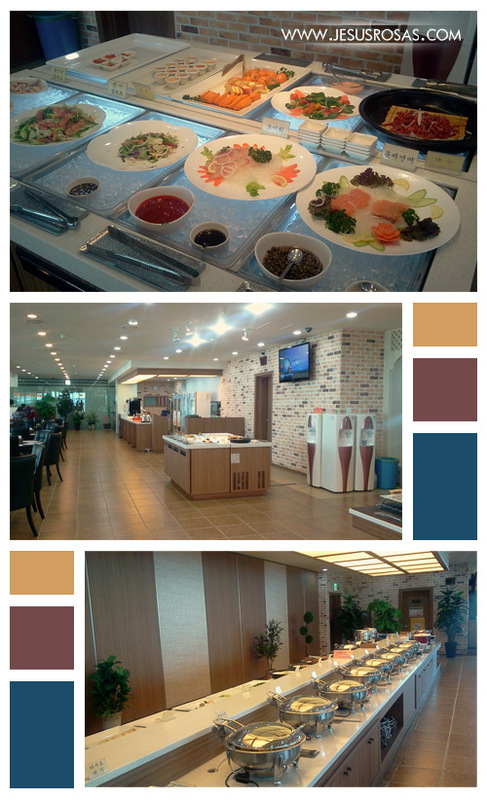 I went to this nice restaurant and tried several types of national dishes. But of course, there are also Western influences around the world and Seoul is not exempt from it. 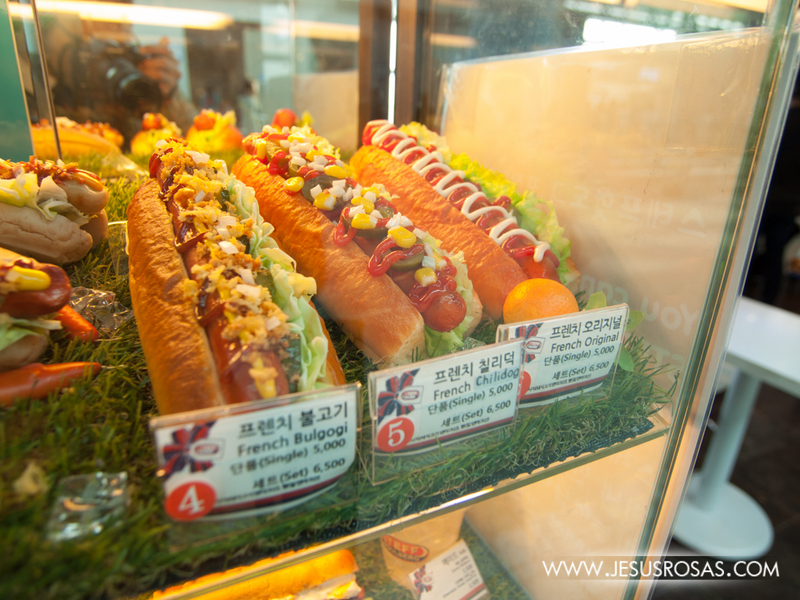 Here are some hot dogs including “French” hot dogs. I was also fortunate to meet some new friends from Church in Seoul. They showed me around and visited The Story of King Sejong Exhibition Hall, which is an underground passageway depicting a great deal of the contributions that King Sejong (reigning in Korea from 1418 to 1450) brought to the development of Korea as a nation. He invented the Korean characters (Korean alphabet per say) and brought huge advances in science, arts, culture, the military and politics. The picture above shows musical instruments. I’m sitting in the center with two friends in which suppose to be a replica of the King’s throne. And then several squares with drawings made by children. I went to a couple of other museums too. I will share that in a future post. I also took the time to walk through some neighborhoods. That same night after the museums, I went to Gangnam, now an internationally famous district thanks to the Korean musician Psy’s “Gangnam Style” (the video of this song became the most watched YouTube video in the world). No, I didn’t see Psy around, but I walked for few minutes in what it is the “Berberly Hills” of Seoul. Uncountable tall buildings, offices, restaurants, stores, and more, most of them competing for people´s attention using bright neon lights at night. 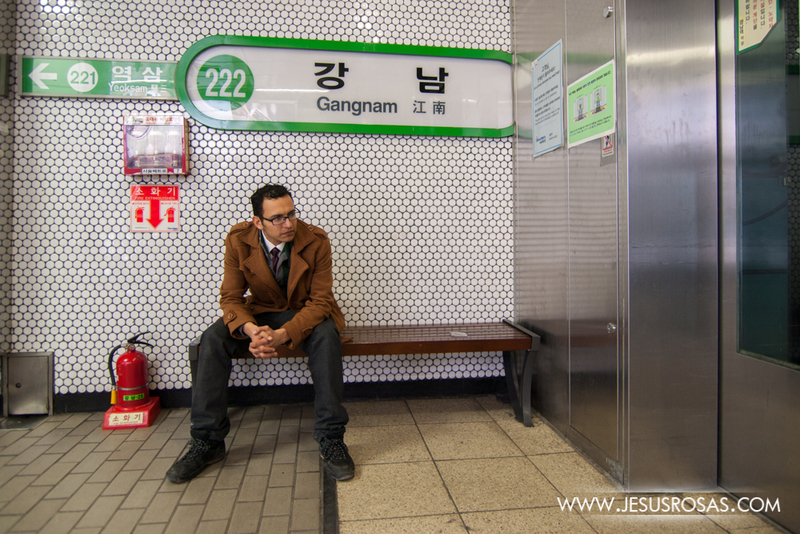 Here I am at the Gangnam Subway Station. I´ll post a couple of pictures I took here in another post. 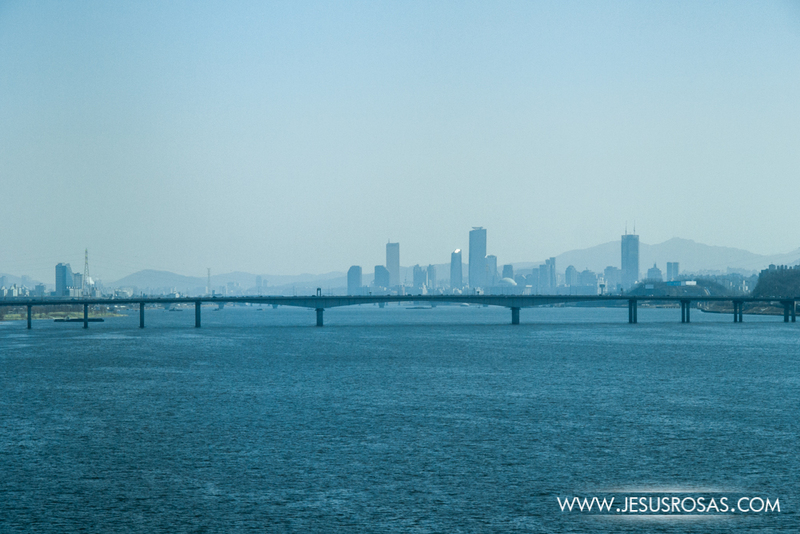 On my way to the Incheon International Airport. The Incheon International Airport surprised me. It has a free artificial ice skating rink (skate rental fee for about 4 USD or 50 MXN), a cinema, a concerts hall, observatory deck, indoor and outdoor gardens, a water garden, sauna & spa, nursery & children’s playroom, private sleeping rooms, a Museum of Korean Culture, and even a golf court! The airport opened 12 years ago and in the last eight years, it has received several top awards, including the World’s Best Airport award by the Airport Council International for seven consecutive years (2). I didn’t have time to really explore around much. For the first time I wished my flight was delayed. The last picture on the top shows a small violin and cello recital. The Museum of Korean Culture at the Incheon International Airport was also an assertive idea. Visitors can have a taste of what it is the Korean culture by attending performances, demonstrations, exhibits, and workshops all for free! In the first picture you can see some of my younger friends painting some small Korean sculptures (also for free) to take home. How would you like to sit on the bench and wait for your next flight while watching some musical performances? That’s what the people in the last picture above are doing. And here it is a Korean Air plane, a popular airline in Asia. The last shot of Seoul on my way out. McDonald, Mark. N.p.. Web. 25 Oct 2013. <http://www.nytimes.com/2011/02/22/technology/22iht-broadband22.html?_r=0>. 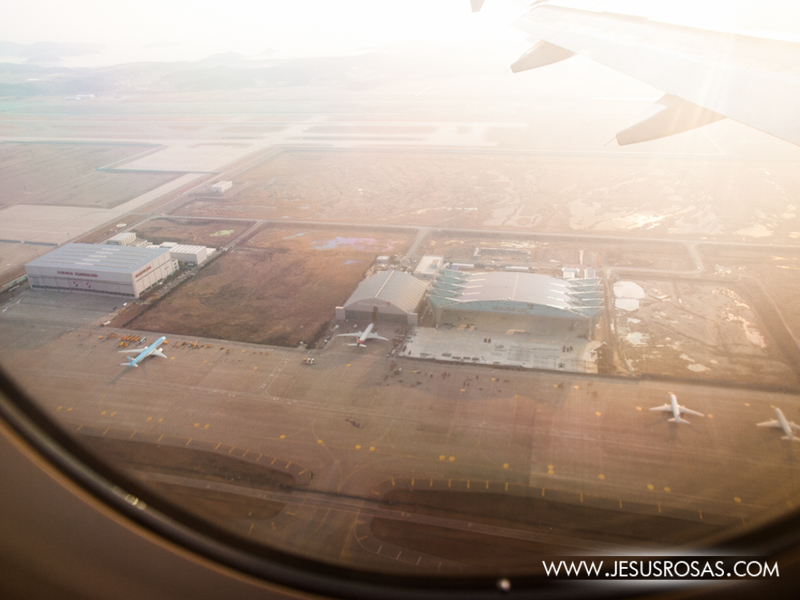 “Incheon(ICN) International Airport – 2013.” Incheon(ICN) International Airport – 2013. Incheon International Airport Corporation, 2013. Web. 25 Oct. 2013. 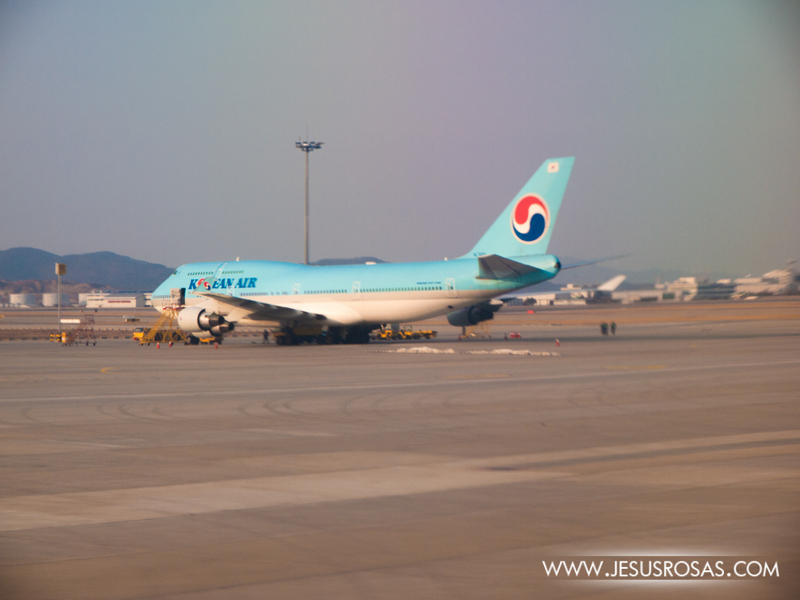 <http://www.airport.kr/iiacms/pageWork.iia?_scode=C3005010800>. 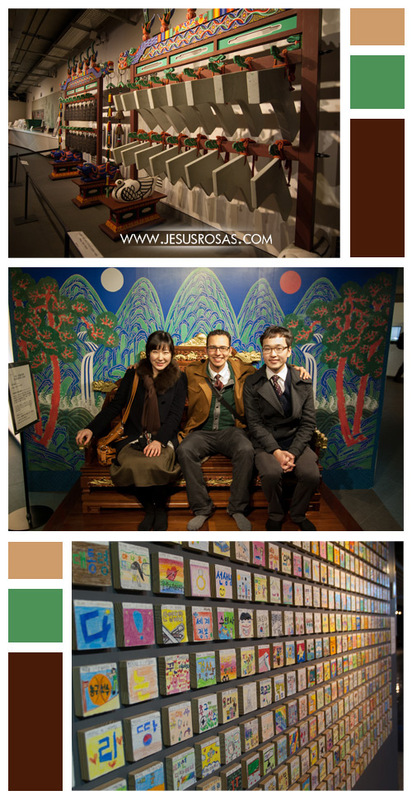 All pictures in this post were taken by Jesús Rosas in Seoul and its metropolitan area, South Korea in March 2013.